The cause of progressive degeneration in Parkinson’s disease is not clear, although, in the last years, different studies have suggested that both brain and peripheral inflammation could play a key role in the progression of this disorder. In our study, we aimed to analyze the effect of an acute inflammation confined to the colon on dopaminergic neuronal death and glial response in mice intoxicated with MPTP. The results obtained show a very significant decrease of dopaminergic neurons in the SNpc as well as a significant decrease of dopaminergic fibers in the striatum of the MPTP+DSS-treated group compared with the control animals. In addition, there was a significant exacerbation of microglial and astrocytes activation in MPTP+DSS animals compared with the control group. This data suggests that a specific gastrointestinal injury, which induces a systemic inflammatory response, is able to exacerbate cell death mechanisms of the remaining dopaminergic neurons and then contributes to the persistent progression of the disease. These results leave open new lines of research on the role of exclusive colonic inflammation and the progression of nigrostriatal dopaminergic degeneration. 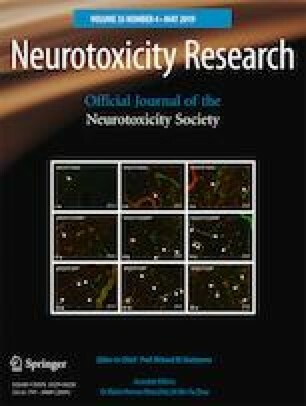 Research work of the authors was supported by the Spanish Ministry of Science and Innovation (FIS PI13 01293), Fundación Séneca (19540/PI/14) and “Prediction of cognitive properties of new drug candidates for neurodegenerative diseases in early clinical development” (European Community’s Seventh Framework Programme (FP7/2007-2013) for the Innovative Medicine Initiative under Grant Agreement No 115009) to MTH. MTH designed the research; ALGM and CE performed the research and analyzed the data; JAC, MV, CMMC, and EFV contributed to the care of the animals and histological quantifications; LC discussed the in vivo results; ALGM and MTH discussed all the results and wrote the paper. All procedures related to animal maintenance, care and experimentation were carried out in accordance with the European Community Council Directive (2010/63/UE) for animals to be used in preclinical studies and were approved by the Institutional Committee on Animal Ethics of the University of Murcia (REGA ES300305440012).